Build a gallery to house the McDonald Peace Windows, honoring the military faith tradition. Build a gallery for the McDonald Peace Windows honoring veterans and military chaplaincy. 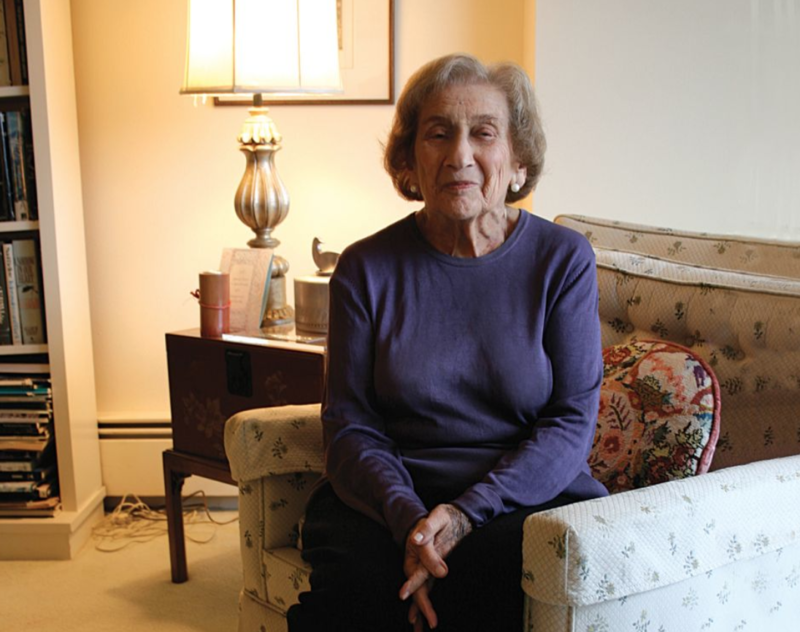 Expand space for interfaith gatherings and for those who do not worship in pews. Upgrade the Chapel for full accessibility. Preserve the existing architecture, stained glass windows, and WPA era murals. I am so excited to preserve this historic building. The Presidio Chapel played a major role in serving the spiritual needs of soldiers and their families from 1931 until the post closed in1994. Soldiers in World War II in the Pacific, the Korean War, and the Vietnam War were some of the many thousands who worshiped here before leaving for the battlefronts. In the foyer, the mural of Peaceful Occupations of the Military was painted by Victor Arnautoff, an immigrant from Ukraine, and a student of Diego Rivera. Arnautoff’s murals are also found at Coit Tower and many other civic buildings in San Francisco. The stained glass windows in the sanctuary are historic having been created by a Dutch immigrant, Willhemina Ogtarop, the first woman stained-glass artist west of the Mississippi to be inducted into the Stained Glass Artists Guild. Fred McDonald, Omar Bradley’s Chaplain in Europe during World War II, collected shards of glass from burned out churches, cathedrals, and synagogues while searching for sites to hold services for his troops. Those shards were made into stained glass windows and other works of art using the latest glass techniques. These historic art pieces will be displayed in a new gallery attached to the historic chapel. The United States Army was the first organization to provide a place where people of all faiths could gather and feel welcome. The Interfaith Center at the Presidio came into being - to be the place for that continuity in the 21st century at the Presidio, once a military base, now a national park. But the mission remains the same - to provide a welcoming space open to all without regard to race, religion or national origin. This restoration project is about the lives of so many like my family, who served in the military and shared base chapels for worship. The Presidio Chapel—with its amazing acoustics, brings to mind several other chapels on army posts where I had lived growing up—where I was often called to play the organ or the piano or to sing solos for the Catholic High Mass, or the Protestant services, or the Church of Jesus Christ of Latter-day Saints, and sometimes for weddings, including one orthodox Jewish wedding. It is a pleasure now to coordinate the Interfaith Center at the Presidio Sunday Concerts in the Presidio Chapel. Crissy Field—where as a teenager I had learned to drive on the abandoned asphalt runway in 1950—is now re-transitioned to its original marshland state plus a beach and jogging paths along the shoreline and ample recreational green spaces that invite the public. When the military left in 1995, I was well aware that San Franciscans voted to restore the Presidio in all of its historic beauty rather than turn it over to commercial development and that the legislators incorporated it into the federal National Parks. I was so proud that I turned my creative music composing focus to recounting the historical civilizations that had occupied this area in a tone poem for orchestra called “Dancing on the Brink of the World: The Saga of Crissy Field” (recorded on the Cambria label). The Officers Club—where my father, a US Army Colonel, reserved the Anza Room, the first building in San Francisco, for me to host a pre-Senior Prom formal dinner for my high school student body and class officers and their dates in 1951—is now substantially expanded to include a ballroom, a museum, class rooms and my favorite Oaxacan restaurant. I feel a patriotic thrill as I remember watching reviews of the troops in the main parade ground in front of the OC. Also, as I recall that at 1700 hours wherever we were—driving, walking, bicycling—everyone stopped, got out of their cars, stood at attention and saluted or had their hand over their hearts, while we listened to the bugle play Taps as the flag was lowered from the flagpole on the parade ground. to be, now deceased, in the neighboring Marina District and we spent many Saturday afternoons, exploring the Presidio woods and, with flashlights, the tunnels under the battery where the cannons were still installed. Today, along with many other nature lovers, I enjoy being here—walking through and exploring again the beautiful Presidio, some parts still being restored. The ICP has been the steward of the Main Post Chapel since 1996 when the Army turned it over to the United States Park Service as a national urban park. 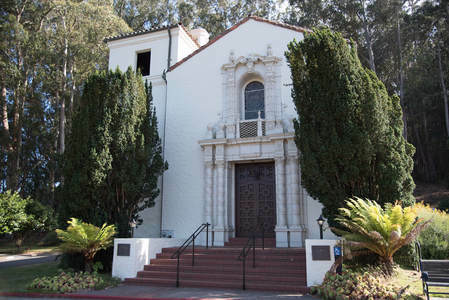 For 85 years, the chapel served the military and their families during war and turbulent times when hundreds of thousands of men and women shipped out from the Presidio to the World War II Pacific war theater, to Korea, to Vietnam. The Chapel now serves as a safe, sacred space for dialogue, prayer, ministry, and the building of friendship among people of all faiths and those who do not practice a faith. 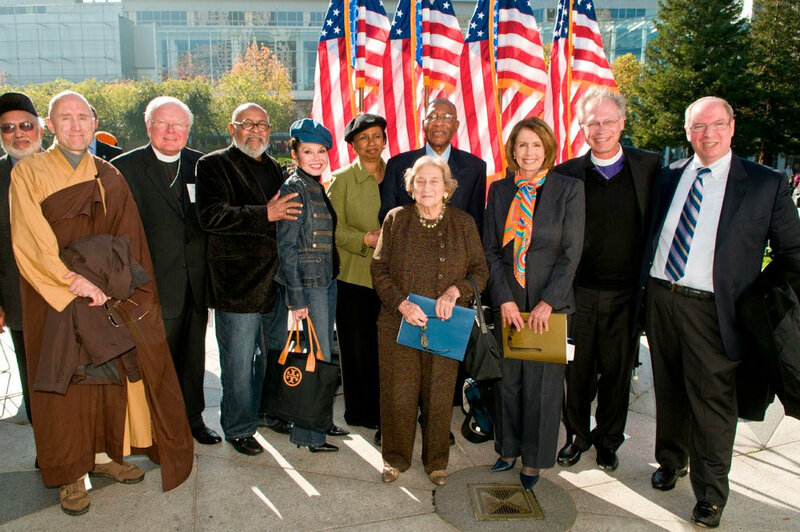 Through the ICP, the Presidio Chapel has become a beacon for interfaith dialogue. Our desire to build the future of our interfaith work combined with the practical need to upgrade the building, resulted in the campaign to restore the Chapel’s religious, military, art and historical traditions as well as to expand its capacity to include more faith traditions and practices.